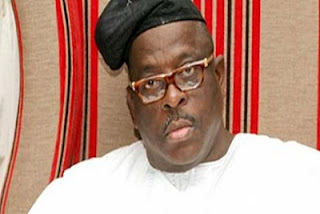 Justice Ibrahim Buba has dismissed the National Drug Law and Enforcement Agency's application asking him withdraw from a suit involving the Ogun State Senator, Buruji Kashamu. The NDLEA had asked the judge to withdraw over fears of bias. Justice Buba said he would remain focused and adjourned the case till Wednesday for the urgent hearing of the case. The judge, in his ruling, on Tuesday, described the preliminary objection filed by the NDLEA, asking him to withdraw himself from Kashamu’s case, as part of the game of hide and seek between Kashamu and the NDLEA and one that did not deserve any consideration. Buba said since he was not the one who assigned Kashamu’s case to himself, he would not shy away from deciding it merely because of an unsubstantiated accusation of bias, adding that the NDLEA cannot pick and choose judges for their matters. "This application is part of the game of hide and seek between the parties before me who have been in and out of court. Some of the matters are on appeal. "This court will not abdicate its responsibilities, no matter who is involved. This application is a further waste of time in a game of hide and seek. "The court will remain focused and see the dispute as presented before it, not imaginary issues. After all, this court does not assign cases to itself. "The application has no merit and does not deserve any consideration. Same is hereby dismissed," Buba ruled. The judge further said that the NDLEA’s allegation or fear of bias was unproven as the applicant failed woefully to point at any decision the court reached or point of law that it reached and is likely to reach in another one. He said it was within the power of the court to make an interim injunction or restraining order against anyone pending the determination of the main suit in fundamental rights enforcement action. "That is what this court has done, pure and simple," he said. The judge equally dismissed the preliminary objection raised to Kashamu's suit by the Attorney General of the Federation challenging the jurisdiction of the Federal High Court. Kashamu, in the suit, said he was in court because the NDLEA and the AGF were allegedly making moves to take over his properties, including a 24-flat housing estate at Egbe and several hectares of land on Lekki Peninsula, Lagos, worth over N20 billion. He had filed the suit following the failed effort by the NDLEA to extradite him to the United States of America where he is said to be wanted for alleged drug trafficking offences.